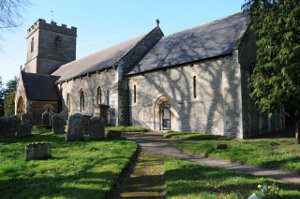 The parish church of St. Mary the Virgin is situated near Bosbury in the neighbouring parish of Bishop’s Frome. Information courtesy of Viv Jackson who has transcribed Marriages from 1754-1923 and Burials from 1800-1826. They had three sons, William James, Herbert Inett and Martin Valentine, all baptised at Bosbury, the family living at Gold Hill.